In our first expedition we will watch the highest grossing worldwide movie of 2014, and one of the worst. Not to make fun of it (though that can not be helped) but to learn. This was the most popular movie last year and Patricia, Steve, and Steve try to parse out why people saw it and the lessons we can take to make more effective artistic activism. Plus we talk a bit about cultural theorist, Stuart Hall, what’s good on TV, radical kids books, and Black Jesus. 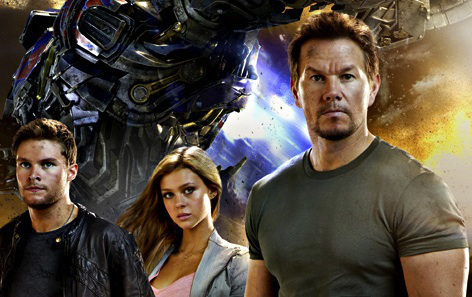 “I look at all the junk, and I see the treasure.” – Mark Wahlberg as Cade Yeager in Transformers: Age of Extinction. Stuart Hall (cultural theorist) – Wikipedia, the free encyclopedia – was a Jamaican-born cultural theorist and sociologist… was one of the founding figures of the school of thought that is now known as British Cultural Studies or The Birmingham School of Cultural Studies. He was President of the British Sociological Association 1995–97. In the 1950s Hall was a founder of the influential New Left Review. Hall is credited with playing a role in expanding the scope of cultural studies to deal with race and gender, and with helping to incorporate new ideas derived from the work of French theorists. Transformers: Age of Extinction – Wikipedia, the free encyclopedia – Transformers: Age of Extinction was a box office success like its predecessor despite being panned by critics and became the only film of 2014 to cross the $1 billion mark. It grossed $245,439,076 in the United States and $841,850,000 in other territories, for a worldwide total of $1,087,404,499. Scandal (TV series) – Wikipedia, the free encyclopedia – Scandal is an American political thriller television series starring Kerry Washington. Created by Shonda Rhimes, it debuted on ABC on April 5, 2012. Kerry Washington’s character, Olivia Pope, is partially based on former George H.W. Bush administration press aide Judy Smith, who serves as a co-executive producer. The show takes place in Washington, D.C. and focuses on Olivia Pope’s crisis management firm, Olivia Pope & Associates, and its staff, as well as staff at the White House, which includes President Fitzgerald Grant III, Chief of Staff Cyrus Beene, and First Lady Mellie Grant. How to Get Away with Murder – Wikipedia, the free encyclopedia – How to Get Away with Murder is an American serial legal drama series that premiered on ABC on September 25, 2014. The series was created by Peter Nowalk, produced by Shonda Rhimes and distributed by ABC Studios. Viola Davis stars as a law professor at a prestigious Philadelphia university who, with four of her students, become entwined in a murder plot. The series airs on ABC as part of a night of programming all under Rhimes’s Shondaland production company. Empire (2015 TV series) – Wikipedia, the free encyclopedia – Empire is an American musical drama television series which debuted on Fox on January 7, 2015. The show centers around a hip hop music and entertainment company, Empire Enterprises, and the drama among the members of the founders’ family as they fight for control of the company. Doc McStuffins | Disney Junior – Doc McStuffins fixes broken toys in her backyard playhouse clinic with the help of her friends Hallie, Lambie, Chilly, and Stuffy. It’s time for your check-up with Doc! Once Upon a Time (TV series) – Wikipedia, the free encyclopedia – Once Upon a Time is an American fairy tale drama series that premiered on October 23, 2011, on ABC. The show takes place in the fictional seaside town of Storybrooke, Maine, whose residents are characters from various fairy tales transported to the “real world” town and robbed of their real memories by a powerful curse. Episodes typically feature a primary storyline in Storybrooke, as well as a secondary storyline from another point in a character’s life before the curse was enacted.